Some data gaps, or “shadows” appear in areas hidden to the laser scanner. Beneath southern China’s cone-shaped peaks, arches, and spires lie some of the largest caverns in the world. created from the laser scan. Paddling across an underground lake in rubber boats, cavers Jane Allen and McKenzie Funk follow Tim Allen into the massive Miao Room. 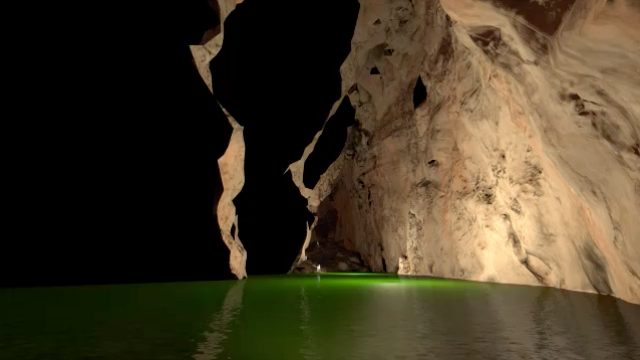 In 2013 a British-led expedition used a cutting-edge laser scanner to measure several giant chambers in unprecedented detail. Daniela Pani (foreground), Andy Eavis (right), and Roo Walters set up the laser scanner near the flooded entrance gallery. 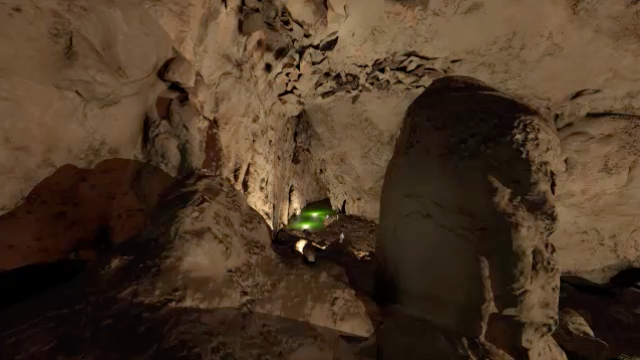 Part of the Gebihe cave system, the Miao Room ranks as the world’s second largest known underground chamber by area, after Sarawak Chamber, in Malaysia. It covers 1.27 million square feet (the equivalent of 22 football fields). Massive stalagmites dwarf cavers in the immense entrance hall of the Miao Room. During rainy periods only, a stream flows through the central canyon of the chamber, deepening it and transporting fallen rocks. At times water comes up from a shaft in the floor. 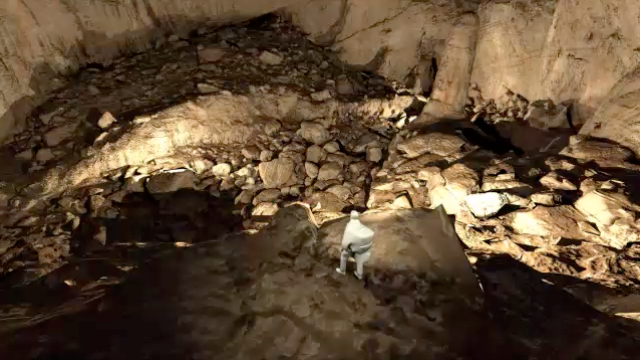 House-size boulders and slippery mud slopes hindered the cavers’ progress along the bottom of the chamber. Active flowstone formations can be seen on the right. 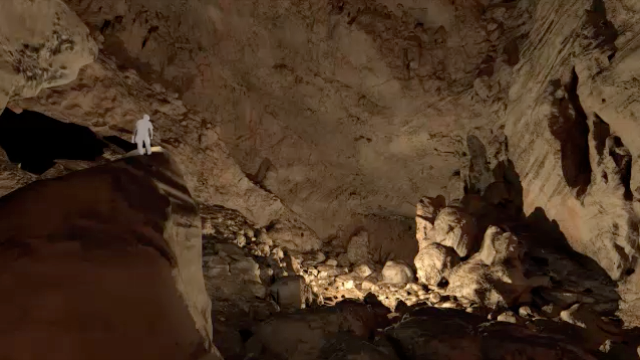 To find their way through the chamber, the cavers often stuck close to the elevated right side rather than venturing through the central canyon. 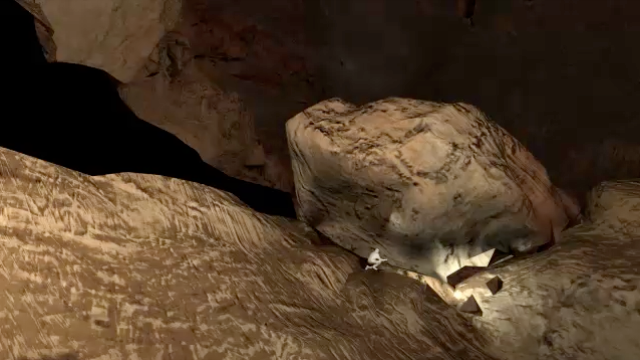 After climbing, crawling, and squeezing among huge boulders on the cave floor, team members often found themselves blocked by dead ends. Miao opens into a large dome toward the end of the chamber. A large stalagmite was a helpful landmark for the cavers to find their way. 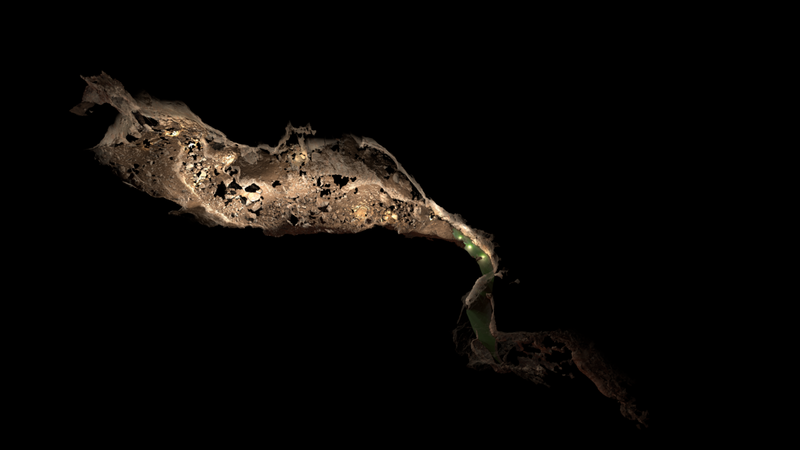 The scanning team downloads data to view a 3-D image of the cave before picking the location for the next scan. 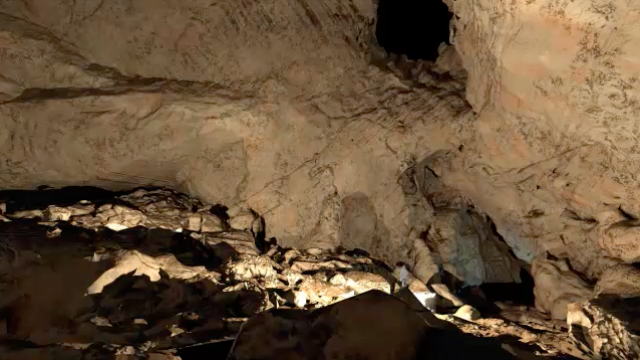 The 3-D laser scan revealed debris from cave collapses. By studying this debris, researchers hope to better understand how chambers grow. At the far end of the Miao Room, a gallery opens into another chamber on the far right. A previously unknown passage can also be seen at top. The laser scanner revealed openings and other features in the roof that were otherwise undetectable in the pitch-black darkness. 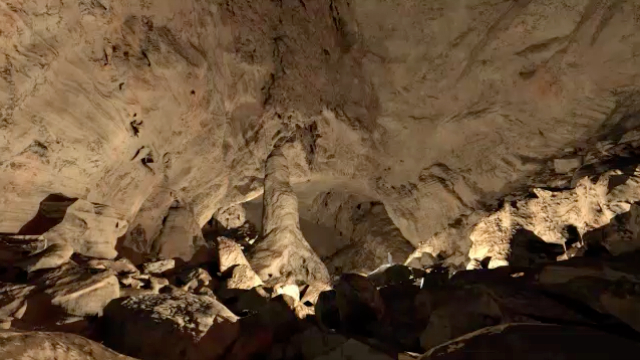 A giant stalagmite—at 148 feet tall, one of the largest in the world—dominates the open space under the massive dome at the end of the Miao Room. 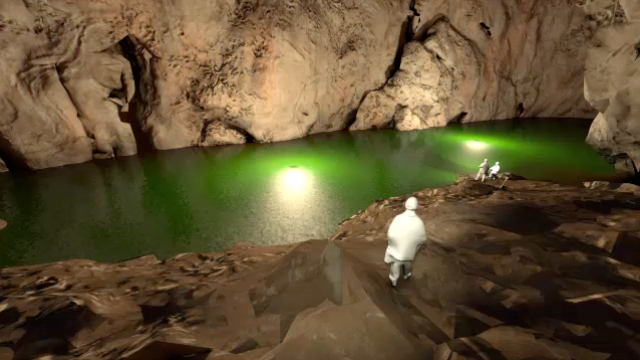 The expedition team will use 3-D models based on the laser scan to interpret interior features as well as to establish the overall shape and dimensions of the massive chamber.